Luana Savings Bank has received the Bankrate.com® Top Tier award for consistently offering annual percentage yields (APYs) that were among the highest reported in 100 Highest Yields® for 3rd quarter 2014. 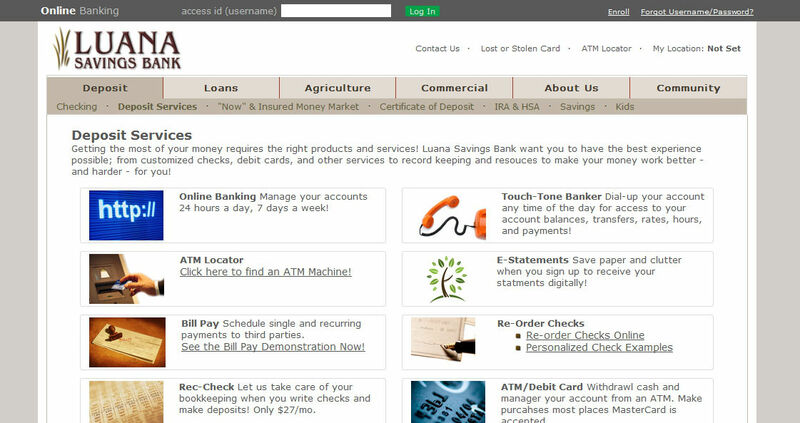 Luana Savings Bank was ranked 3rd nationally for a deposit product. Institutions that most often provided the highest yields for nationally available MMAs and CDs that can be opened by mail/phone during the 3rd quarter of 2014 are rated. At the end of each calendar quarter, bankrate.com ranks all of the institutions that have provided listings for the 100 Highest Yields newsletter during the calendar quarter and awards Top Tier ranking to the highest three in each category, such as the 1-year CD. The overall rank that each institution earns is based on the number of times within the quarter that the institution's yield was among the top 20 for the product category and the relative position of the yield in relation to the others in the product category. To learn more, visit www.bankrate.com. Luana Savings Bank has been featured as one of SNLFinancial's "100 top-performing banks with assets between $500M and $5B", ranking at the 17th position nationally (climbing from the 30th position last year) and 2nd in the State of Iowa for the past two years. The ranking system is based on financials for the year ended Dec. 31, 2013. SNLFinancial provides Business Intelligence Services to leading investment banks, investment managers, corporate executives, ratings agencies, government agencies, consulting firms, law firms and media such as The New York Times, The Wall Street Journal, USA Today, Washington Post, Forbes and Fortune. SNLFinancial is not affiliated with Luana Savings Bank. Learn more online at www.snl.com. Luana Savings Bank has received the Bankrate.com® Top Tier award for consistently offering annual percentage yields (APYs) that were among the highest reported in 100 Highest Yields® for 4th quarter 2013. 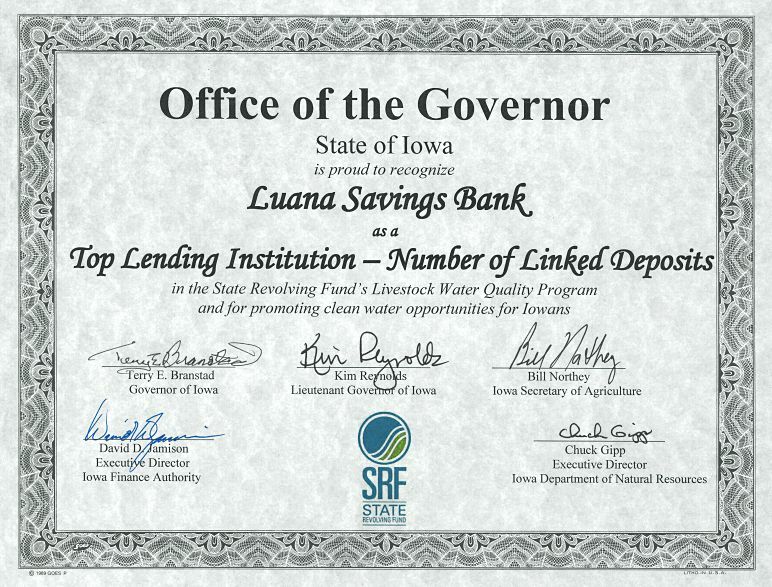 Luana Savings Bank was ranked 3rd nationally for two deposit products. Institutions that most often provided the highest yields for nationally available MMAs and CDs that can be opened by mail/phone during the fourth quarter of 2013 are rated. At the end of each calendar quarter, bankrate.com ranks all of the institutions that have provided listings for the 100 Highest Yields newsletter during the calendar quarter and awards Top Tier ranking to the highest three in each category, such as the 1-year CD. The overall rank that each institution earns is based on the number of times within the quarter that the institution's yield was among the top 20 for the product category and the relative position of the yield in relation to the others in the product category. For years, Luana Savings Bank has been diligently researching ways to improve our customer's banking experience. We’re pleased to announce that we will be implementing a completely new, state-of-the-art, cohesive electronic banking platform on January 30th! The new system will include Consumer and Commercial Online Banking & eStatements; Mobile 'apps' for Android, iPhone, iPad; Text (SMS) Banking; Touch-Tone Banker; Text/E-Mail Alerts; and enlarged, simplified display options to assist our low visibility customers. 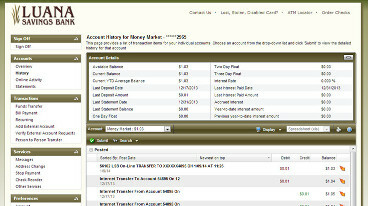 Our new electronic banking platform will eventually offer the ability to recover several months’ worth of transactions, statements, and images; export transactions and custom details into your favorite bookkeeping software; personalize text/phone/e-mail alerts, access Bill Pay from mobile devices, and send us secure messages – including attachments! Luana Savings Bank was ranked nationally in the 65th position by American Banker's Association (ABA) in their "Top 100 Farm Lenders Ranked by Dollar Volume", and 8th among a collection of 15 Financial Institutions in Iowa. 60 of the top 100 Lenders reported were from Midwestern states. Total Farm Loan data was obtained by the ABA from the FDIC in 3Q of 2013. "The American Bankers Association is the voice of America's $13 trillion banking industry, representing banks of all sizes and charters, from the smallest community bank to the largest bank holding companies." "The ABA has been dedicated to providing advocacy, information, training and education for banks that make and service agricultural loans or provide credit and other financial services to those living and working in rural America for nearly 100 years." To learn more, visit www.aba.com. Luana Savings Bank has been featured as one of SNLFinancial's "100 top-performing banks with assets between $500M and $5B", ranking at the 30th position nationally and 2nd in the State of Iowa. The ranking system is based on financials for the year ended Dec. 31, 2012. Luana Savings Bank is one of 28 Midwestern Banks ranked. Luana Savings Bank is proud to announce that we've opened our new Clive, IA branch to the public! Returning customers may notice some of the friendly faces from our Polk City Branch have transitioned to Clive. Our Clive Branch provides the same great resources of our other Branches, such as Loan Officer availability Monday through Saturday, Full Deposit Servicing, Automatic Coin Sorting, Drive-up Teller, and Complimentary Beverages. In addition, Clive offers free public Wi-Fi and a "Digital Deposit" ATM - deposit Checks or Cash there 24/7! 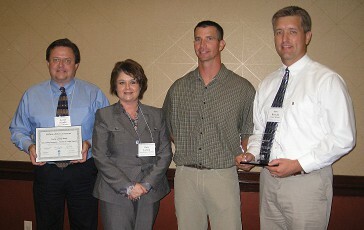 Luana Savings Bank has been recognized as the "Top Lender for Funding Livestock Water Quality Projects using linked deposits" by the State Revolving Fund (jointly administered by the Iowa Finance Authority and Iowa Department of Natural Resources in partnership with the Iowa Department of Agriculture and Land Stewardship) at the 66th Annual Iowa Soil and Water Conservation District Commissioners Conference in Des Moines, Iowa. The State Revolving Fund’s water quality programs provide low-interest loans to Iowans to assist in projects to reduce runoff in Iowa’s waterways. Since 2006, Luana Savings Bank originated 19 loans for a total of more than $900,000. Nearly 4,000 water quality projects have been executed since the program’s inception. Luana Savings Bank has announced a new branch location in Central Iowa to help better serve our customer base. Our Polk City branch has been growing steadily, and Clive will provide both a closer location to existing customers as well as new customers from the West Des Moines/Clive locale. We're constantly making changes to take advantage of technology that has the potential to help our customers! We've launched a new website to help reach out into the community to provide information and updates 24 hours a day, 7 days a week. Along with publishing rates online, we'll also update news, events, promotions, and information ranging from employees to locations and from deposit services to loan services. We hope the information we've provided will help guide your financial decisions, save you time, and provide another means of connecting with Luana Savings Bank!